If you're looking to create or edit your video, then Windows Movie Maker is undoubtedly the best video editor ever which is free and easy to use. You can do all basic editing like adding captions, title, credit and screen effects. It can also merge multiple videos into one and you can add a background music of your choice. Wrapping up all these points, Movie Maker is so far the best video editor which is free and good thing is, it doesn't add copyright watermark to your edited videos. In earlier versions on Windows, Movie Maker was pre-installed but in new versions you've to download it from Internet and that too it comes under Windows Essentials pack. Few days back, I also installed it with lots of excitement but all my joy become sorrow when I created my first video. It's showing black screen only with working audio sound. After this, I searched this problem on Google and found number of threads on Microsoft official forum. Unfortunately, nothing worked for me. After few hours of research, I finally managed to solve the issue. If you're facing this same problem, then you're at right place and this tutorial is definitely going to troubleshoot your problem. Before moving to the solution, first let's see what is the main problem. What & where is the main problem? After installing the Movie Maker for the first time, I created a new project in which I added two videos and edited them with title, captions, credit and simple background music. When I played it in preview window, the video was working fine. It was playing both videos with music and all edits. As I saved it, it only plays audio and there is a black screen. There is no video thumbnail as well. I also changed the format of video and played it in different media players but nothing worked. So the main problem is that the saved videos are showing black screen only with working audio sound. This problem should not be confused with another black screen problem of Movie Maker. In that, video isn't playing in preview window as well but here it was playing the preview properly. How to fix this problem by updating drivers? First of all, click on start menu button and open Control Panel. Change the view by mode to "Large Icons". 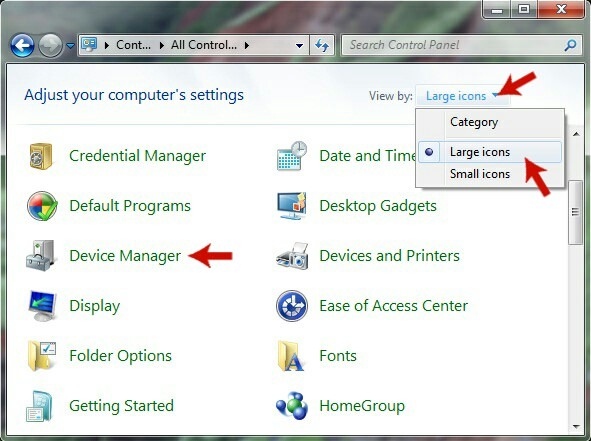 Now find "Device Manager" option and open it. A new window will open. Here find "Display adapters" option and click the arrow icon left to it. 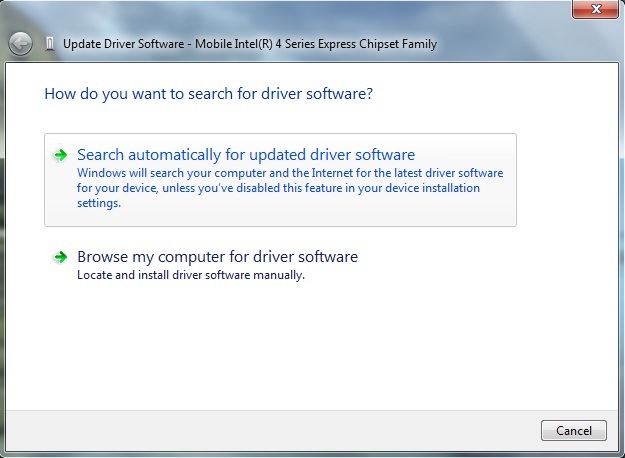 Now right-click on your driver name and then click "Update Driver Software" option. Now Windows will search your computer and the Internet for the latest driver software. If any new updates were found, it will download and install them automatically. This process will take few minutes. Finally restart your computer and try to create a new video in Movie Maker (Make very simple edits). This time, it should work (Don't forget to thank me in comments). If this was your problem, please check your Internet connection and try again. 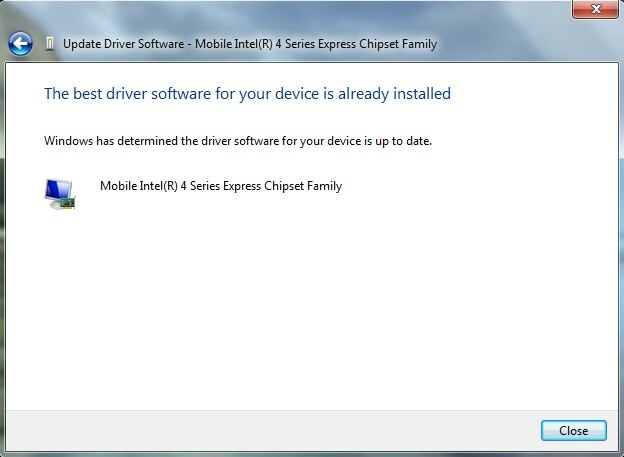 To update these drivers, your computer must be connected to Internet. Try to open Google in your primary browser. If Internet is working, then definitely you'll not find such errors. Same thing happened with me. When I tried it first time, my laptop isn't connected to Internet and due to this reason, it shows me a message that driver software is already up to date. Then I tried it another time when I was online and hopefully it worked. 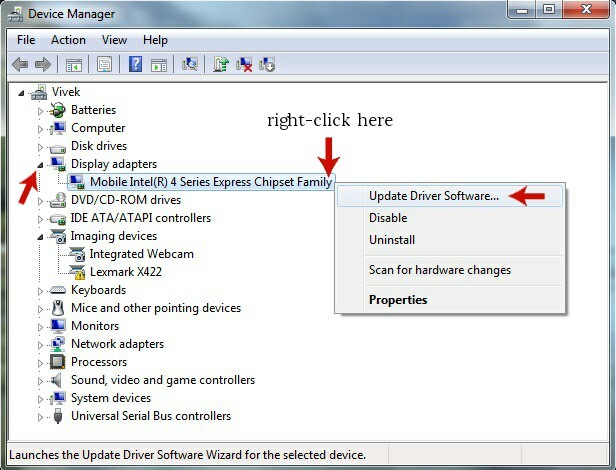 If the problem persists, please install the driver software manually by downloading it from manufacturer's website. You can find your current driver information by running a dxdiag tool. If above trick doesn't worked, you can give a last try to these alternative solutions. Make sure the you've latest version of Windows Movie Maker. If not, then update it or download the latest version from Microsoft official website. Movie Maker doesn't support all format videos. The basic formats that it supports are mp4, mpeg series and wmv. If you're trying to edit any other format video, then it may not work. 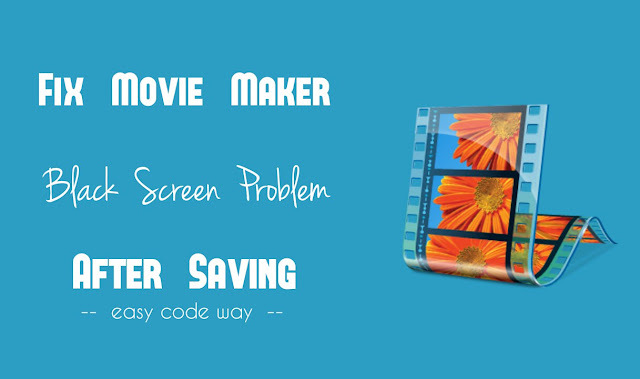 You can check the complete list of supported formats by Movie Maker from here. If the format you're trying to edit isn't in the list, convert the video to wmv format and then try again. There are tons of video converters available. For example, you can try Freemake Movie Maker. It deals with all basic video editing tasks, plus this is a good video conversion software. Don't edit long or HD videos. If you're doing the same, first try to edit a short video of 2-3 minutes only. Last but not least, you can create a new thread in Microsoft forum and ask the experts to review your system information. Though you can also ask me but I am not a Movie Maker expert. Moreover, the problem may be different for different users, so I can't figure out the proper solution for an individual. It's better to send all your system information to the experts and after reviewing it, they can tell you the correct source of problem. In this tutorial, I had covered common solutions only which may or may not work for all people. Just give them a try and hopefully It should work. You can also ask your individual problems in below comment box. If you know any other way to solve this Movie Maker black screen issue, please share it with other people. It worked very well. Thank you !! Hi,I have made a video in MM .it is working fine in Preview but not displaying while playing after I save it.My drivers are also updated.Windows essential is also not working for me.Please help !! Wuao! Thank you so much for taking the time to write the solution! You saved my homework! I really appreciate it! The update worked (manually) but still i got the black screen. Perhaps, there is something I am not doing right when it comes to saving.